An inmate at the California Men’s Colony (CMC) in San Luis Obispo County is facing additional prison time after he allegedly used a contraband cell phone to rob a man of a Rolex watch. His alleged accomplice, Lamar Diante Cox, met the watch’s owner at San Mateo’s Hillsdale Mall to have a jeweler verify the watch’s authenticity. The seller then took Cox to his car to close the deal. Cox allegedly pulled a gun on the unnamed victim and robbed him of the advertised Rolex and another Rolex watch valued at $9,600 that he was wearing. Nelson then arranged from prison for Cox to travel to Texas to meet up with a possible buyer in Houston. An action that led to the arrests of Cox and Nelson. Cox and Nelson have pleaded not guilty to robbery and conspiracy charges. Their cases have been continued until Aug. 3. California prison inmates are not permitted to have cell phones. Even so, cell phones have become abundant in prisons. 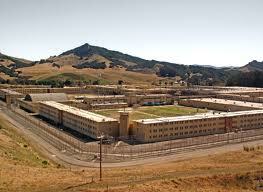 In 2006, prison officials confiscated 261 cell phones inside California prisons. By 2010, the number of phones grabbed by prison workers had risen to 10,761. During 2011, as many as six packages containing drugs, tobacco and cell phones had been found near the CMC West Facility wall in one night alone. Inmates allegedly set up the contraband drops using smuggled cell phones already inside the prison. Not all of this contraband, however, comes from outsiders. Correctional officers said that about four cases of employee smuggling occur each year at CMC, usually involving prison contractors, people who come on the grounds to work on construction projects. If you think about it, it’s tradition. The Mafia corporate bosses ran their enterprises from the joint, with the right payoffs. Why should not the small businessman have the same opportunity? So it sounds to me that the guards smuggling are dismissed or retired for violating “company policy” rather than being charged with violation of the law as were their charges? I’m guessing there are junior high schools with more effective enforcement of contraband.